And so it ended. 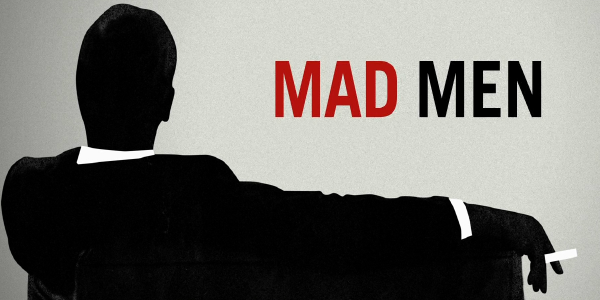 Two weeks ago, the Mad Men finale aired. And – spoiler alert – Don Draper didn’t hurl himself out of the window of a Manhattan skyscraper, even though he did have a few desperate glances out of windows in some of the last episodes. But this time, it’s not about “selling happiness” to enrich himself, fulfill his lusts or make his mark. It’s about being close to his children. It’s about finding his true identity in loving and being loved. Art, in any form, has to allow for various interpretations. We see things through different experiences and perspectives. I recall a conversation with friends about Henry James’ novel, Portrait of a Lady. Three of us had vastly different understandings about the conclusion. Naturally, I was convinced I had it right; so I consulted the text. Based on the author’s own words, each of us had a legitimate interpretation. I was right. And so were the others. No, no, no. I’m not saying that everything is relative. But interpretations of art certainly can be. So let me offer my take on Mad Men. I wanted to see redemption, desperately. Once Don had his breakdown with Hershey, I thought we were getting somewhere. After six seasons, two wives and too many “other” women to count, Don actually told something deeply intimate about himself which was also true. The episode concludes with Don standing with his children before the rundown building that was the whorehouse where he grew up. This is the first time they’ve seen anything of their father’s past. It helps to know who someone is by knowing where they came from. I began to think that his redemption would conclude the series. Remember how the first episode of season one started? All we saw was a handsome businessman going about his day, visiting a woman who was not his wife, and so on. There was no indication that he was a married man until the episode concluded with him entering his large suburban home at night, lights turned out, wife asleep in bed. In many ways, his struck me as a Pinocchio story, someone sort of wanting to grow up and be a “real” boy while enjoying all the fun and perks of being “naughty,” an echo of St. Augustine’s prayer for conversion when he asked that it might not happen too quickly. Throughout the last season, there were inklings that maybe the real man would escape the trappings he’d created for himself, not unlike the false world he created through his business of advertising, promising happiness with things that have nothing to do with true happiness. But along the way, someone else was changing: his teenage daughter Sally. Episode two of Season 7, involves Sally’s discovery that her father has, in effect, been lying to his family by not telling them that he’s on leave from his job. They think he’s still going to work, as usual. After a strained car trip that eases up with a pit stop for gas and food (Don is smart; he knows that a lot of relationship building can happen around food. ), she gets out of the car and tells him, “I love you.” He can’t, simply cannot, respond. It’s clear that he’s struggling. Go to 1’20” here. Or watch it all for a recap of the episode. By this point the series has offered plenty of encounters between Sally and her mom Betty. None of them were personal. And we’ve seen various scenes with Sally and her dad, mostly she’s angry, even disgusted. Always she is looking for connection. This time she connects. In the moment that some call awakening or getting religion, I think he was just being the same old Don Draper we’ve seen since the very first episode. At 2’0” below,just as the meditation begins, he’s still trying to figure it out, how’s he going to make this work for him. Then his “om” becomes an “a-ha!” (See 2’37” below, when the meditation ends.) Think about it, after his “confession” to Peggy, she tells him to come back, that he’ll have work, there’s the Coke account. In that moment, he tapped into the next big idea. And presumably many other big ideas, including the Coke commercial. Maybe Don’s a little more in touch with himself after crying and hugging on his retreat. But it’s hard for me to string this all together and claim redemption, much less family man. He starts as an ad man and ends an ad man, he can sell anything including himself. He doesn’t just sell ads. He creates realities. As for the other characters, they seem pretty comfortable in the realities that they’ve created for themselves. But, really, does anyone honestly think that Pete has magically learned fidelity…when he now has a private jet at his disposal? We saw what he did with his own apartment… And Roger just continues being another little boy Pinocchio, he even jokingly refers to his new wife Marie as “ma mère” (“my mother”). Peggy finally got what she wanted: a man to go with her career. That may not last if her inner Don Draper surfaces again. Joan was the exception, she was an adult from the beginning and always aware that actions have consequences, good and bad. She always took responsibility for herself. But the real grown up by the end of the show was just a little girl when the show began. Make sure you take note around 0’99” below. Will The Real Caitlyn Jenner Please Stand Up?